THE B-MOVIE NEWS VAULT: On January 23rd, ATTACK OF THE KILLER TOMATOES will Beat You, Bash You, Squish You, and Mash You in HD! 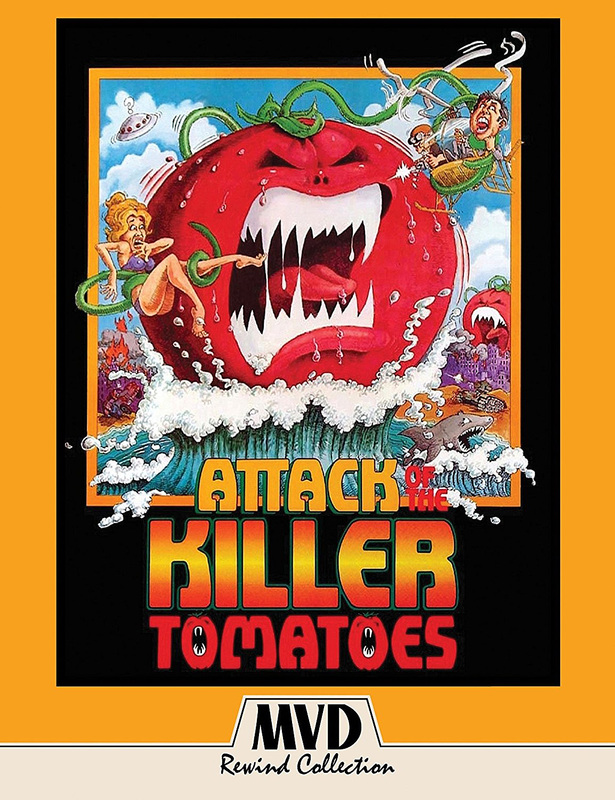 On January 23rd, ATTACK OF THE KILLER TOMATOES will Beat You, Bash You, Squish You, and Mash You in HD! JOHN DEBELLO'S B-COMEDY CLASSIC GETS AN UNEXPECTED BLU-RAY RELEASE AS PART OF THE MVD REWIND COLLECTION! 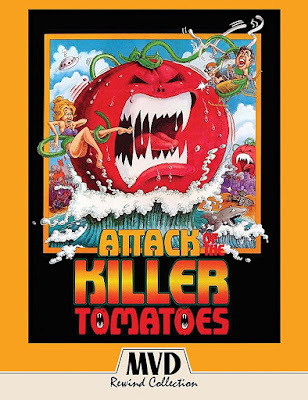 I saw ATTACK OF THE KILLER TOMATOES on VHS at a very young age, and I loved it! While a lot of the humor flew over my head, I still thought it was hysterical. I became an instant fan of Lt. Wilbur Finletter (J. Stephen Peace), the brave (and clueless) leader of the "Tomato Task Force" who always brandishes a sword and drags a parachute on the ground behind him! And as a person who used to watch the Saturday morning cartoon religiously, and owns all four films on DVD, I gotta say that this is truly exciting news! Oh yes Vault Dwellers, it is most certainly time for an upgrade! Synopsis: UFOs! Bigfoot! Communists! The government has swiftly dealt with many a crisis... But can it survive the diabolical ATTACK OF THE KILLER TOMATOES? Just when you thought it was safe to go back in the supermarket, you're face to face with terror so bold, so frightening it has never been seen on-screen before or since (not until the sequels, anyway). After a series of bizarre and increasingly horrific attacks from pulpy, red, seeded fruit, Mason Dixon (David Miller) finds himself leading a ''crack'' team of specialists to save the planet. But will they be quick enough to save everyone? To save YOU?! Audio commentary from writer/director John DeBello, writer/co-star Steve Peace, and ''creator'' Costa Dillon. Legacy of a Legend - A collection of interviews, including comments from John DeBello, Costa Dillon, film critic Kevin Thomas, fans Kevin Sharp and Bruce Vilanch, future Tomatoes mainstay John Astin and actors Steve Peace, Jack Riley, and D.J. Sullivan. Crash and Burn - A discussion about the famous helicopter crash that could have killed everyone because the pilot was late on his cue! Famous Fowl - The San Diego Chicken and his role in the climatic tomato stomping ending! Killer Tomatomania - A smattering of interviews with random people on the streets of Hollywood about the movie. Where Are They Now? - What the cast and crew have been up to over the past couple of decades. Slated for Success - Featuring the Killer Tomato Slate Girl! MVD Rewind Collection's 2-Disc Special Edition of ATTACK OF THE KILLER TOMATOES is definitely a must-own title in my book! 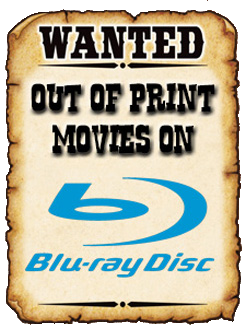 It will be released on Tuesday, January 23rd wherever Blu-ray discs are sold and goes for between $22 and $25! You can order yourself a copy right now at AMAZON, BULLMOOSE, or DIABOLIK DVD!